Toasted pine nuts, Zante currants, a handful of mustard greens — smells awfully familiar, doesn’t it? That’s likely because it’s the exact makeup of the Zuni Cafe bread salad minus the bread. 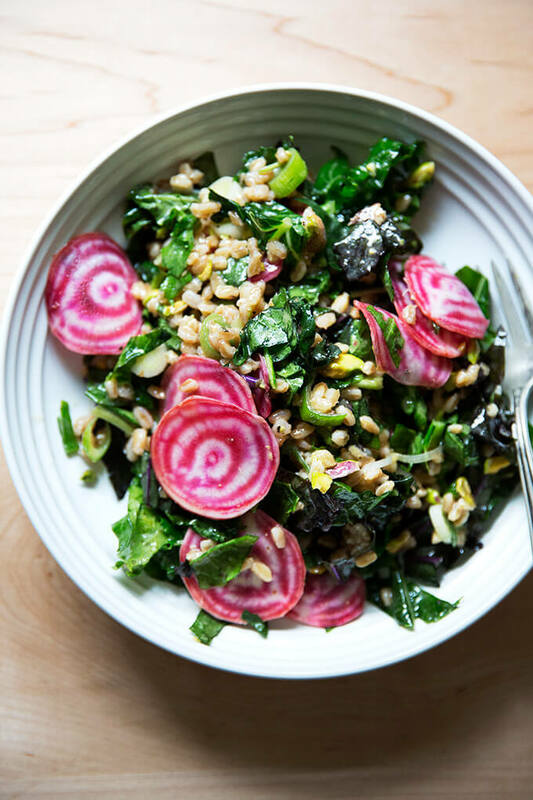 If it doesn’t ring a bell, I recommend familiarizing yourself with this most adored salad first, then making your way back here where a springy variation awaits, a farro-for-bread substitution making it a touch lighter but no less delicious. I can hear your grumbles. Without the bread (literally) and butter of the Zuni salad, flavor, you suspect, must be compromised? You’ll just have to take a leap of faith and trust that farro, surrounded by all the elements of the Zuni salad — sweet onions, crunchy nuts, spicy greens, a simple olive oil and vinegar dressing — soaks up the goodness nearly as well as bread all the while maintaining its chewy texture and nutty flavor. And if you can get your hands on some semi-pearled farro, which cooks in 15 minutes, you’ll find yourself eating more grains than you ever imagined. At least that’s what happened to me. Since discovering semi-pearled farro just over a week ago, I’ve made this salad or some sort of variation of it four times and have consumed (with the help of my husband) nearly 2 pounds of farro. While semi-pearled farro is not quite as nutritious as whole farro — pearling strips off part of the germ and bran — it’s still a healthy starch (high in fiber and protein) and a welcome addition to my kitchen pantry. I don’t know why the lengthy cooking time of many whole grains deters me from making them, but it does, and as a result, I don’t eat them as much as I would like. 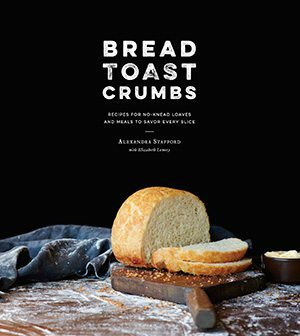 I love the idea of making grains in their whole state a staple in my diet. I hope the semi-pearled varieties are paving the way for that transition. After several days in a row of the Zuni-inspired farro salad, I changed it up a bit and roasted some carrots alongside the onion and substituted chopped toasted hazelnuts for the pine nuts, which made for a nice variation. 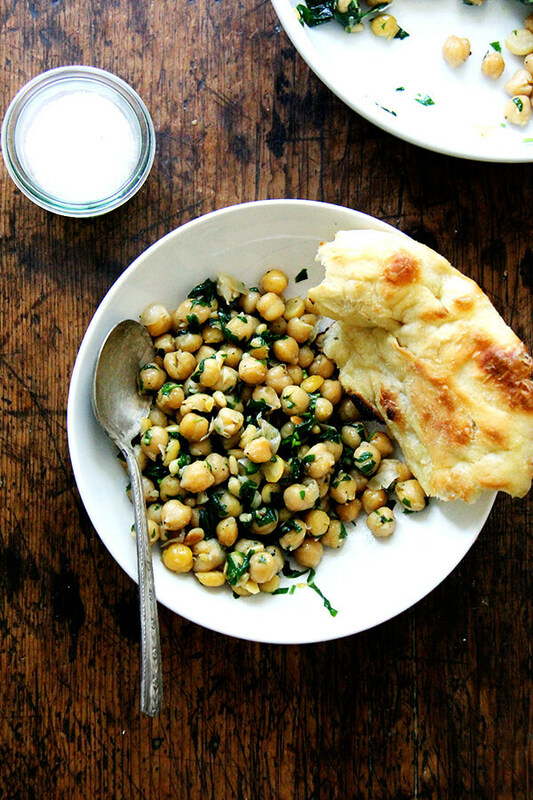 Just know that this salad is infinitely adaptable — currants are nice but other dried fruits will offer the same texture and flavors; nothing is tastier (to me) than pine nuts but any nut will provide that crunch; and greens provide color, a little roughage and a wonderful spiciness but are not critical. Mix it up. I hope you find it as addictive as I do. 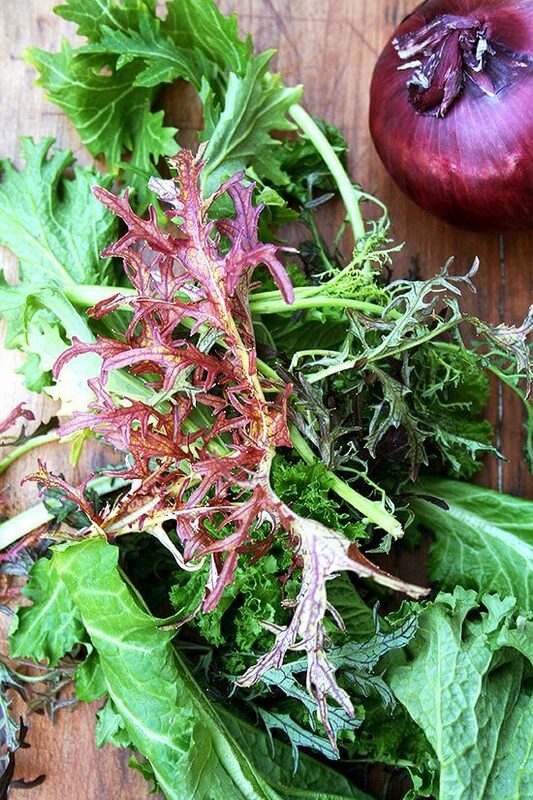 We received an incredible “Asian mix” of greens in our CSA this week. Mustard greens were included and the whole combo was incredibly tasty. This is really nice farro. 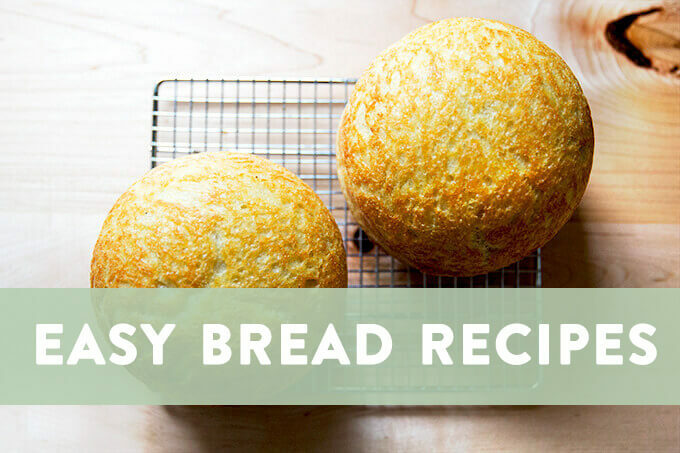 It’s semi-pearled, which means a portion of the outer bran has been removed, which cuts the cooking time way down — it cooks in about 15 minutes. You might be able to find some at your local supermarket, but if not, you can order it here. 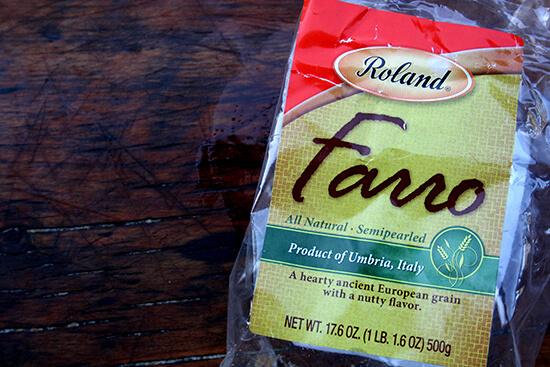 *Roland semi-pearled farro is particularly nice but any type of farro or grain — wheat berry, barley, etc. — will work nicely. 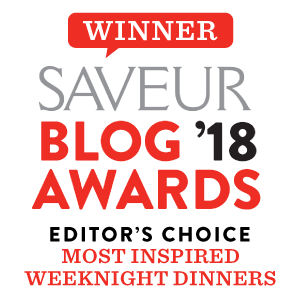 You might be able to find semi-pearled farro at your local supermarket, but if not, you can order it here Of course, whole farro will work just as well. Meanwhile, add farro to pot of boiling water. Add a big pinch of kosher salt. Cook for about 15 minutes — taste a few kernels after 15 minutes. For me it takes just a minute more than 15. Place currants in a small bowl. Moisten with 1 tablespoon boiling water and 1 tablespoon white balsamic vinegar. Set aside. Toast pine nuts in a small dry skillet over medium heat until golden brown — watch them carefully! Set aside. Place the greens in a large mixing bowl. When the onions are finished cooking, scrape them off of the pan into the bowl over the greens. 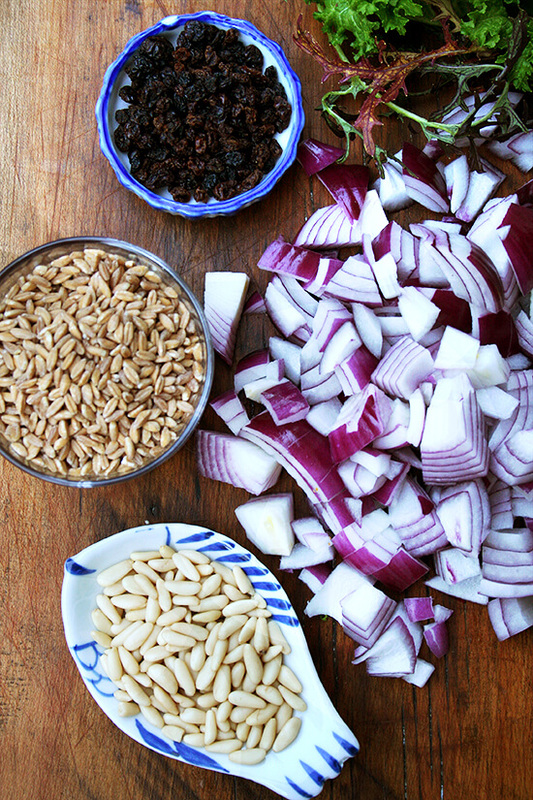 Drain the farro, and add to bowl. Season with a big pinch of kosher salt. Drizzle olive oil over the farro while it’s still warm. I haven’t been measuring, but if you’re looking for some guidance, start with about 2 tablespoons of olive oil. Splash white balsamic over top — again, you don’t have to measure, but if you like to, start with about 1 tablespoon and adjust after everything has all been mixed together. Drain the currants and add to the bowl. Add the pine nuts to the bowl and toss to coat. Taste. If it’s a little dry, add more oil and white balsamic. If it needs a little more seasoning, add a pinch more salt. I didn’t add pepper, but by all means, add some. 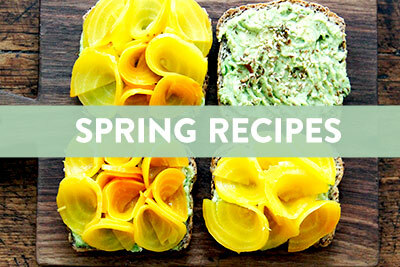 Ali, this looks delicious and I have all the ingredients on hand except the mustard greens. This also looks healthy…. I love the Zuni Cafe bread salad (with the Yummy chicken of course). But this rocks. I have not cooked farro, always worried about cooking times, but now you’ve shown me the way. This is so much my kind of food. 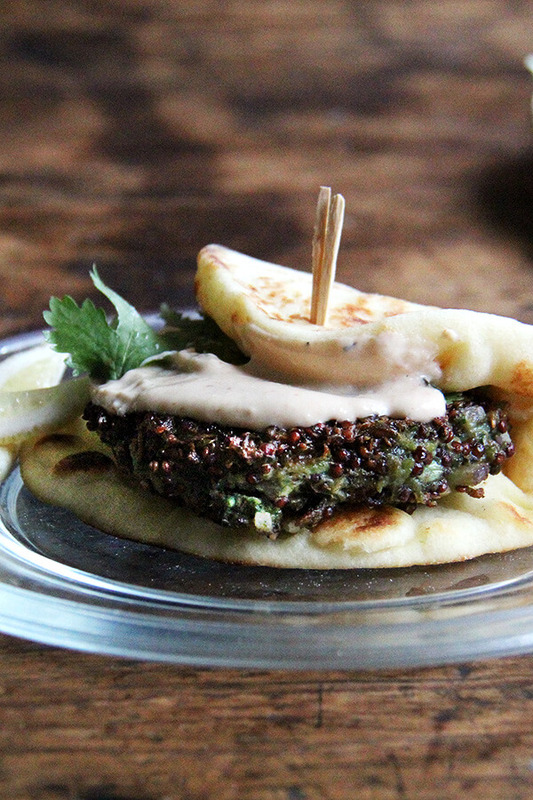 really tasty – I’ve only recently begun to enjoy farrow, it’s great to see another recipe using it. I think this one is going to become a goto, as it will stand many variations. This time we used just a generic spring mix and baby spinach for the greens. Next time, I think it will be maybe spring mix and shredded brussel sprouts (oh, does that not sound fantastic?)! I totally burned the onion – sigh – but even the mostly charred bits were quite tasty. Next time I’ll char them, but hopefully just shy of actually burning! Made this tonight and scarfed it down. So good! I used the (long cooking) emmer farro from https://www.bluebirdgrainfarms.com/, but I’ve gotten used to the cook time. I just throw it on as soon as I get home and let it simmer while I get settled and prep dinner. It’s so hearty that you can leave it be and not worry about overcooking and if plans change, you can easily throw it in the fridge for a recipe the next day. I used golden raisins and a peach balsamic, but you’re right, you can mix this up any which way for something delicious. I wonder how it would taste with a little beet in there too, but that could be the GIANT chioggia beet in my fridge calling to me. DK — I’m so happy to hear this. Your variation sounds fantastic! I love the idea of golden raisins. And peach balsamic — how exotic and delicious?! Yum. I actually have some fig balsamic on hand. I might have to give that a go. And honestly, I need to just get over the long cooking time of the whole farro. By the time I get dinner all organized and the table set, etc., the whole farro would be completely cooked. I really don’t have a good excuse. Thanks for the inspiration! I have a question: according to Google translate Farro is Spelt. Is that correct? 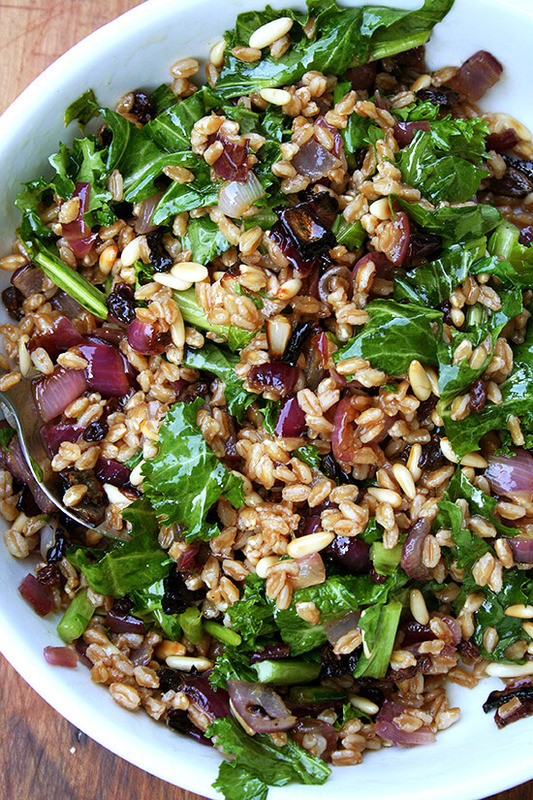 I have a bag of spelt seeds and was wondering if I could use those for making this AMAZING salad. Margherita — sorry for the delayed response here! Your comment went to my spam for some reason. Anyway, I think farro and spelt are actually two different grains. According to my The Complete Whole Grains Cookbook, both spelt and farro are ancient strains of wheat and are often confused as the same grain but they are in fact different. Farro is also known as Emmer. Hope that helps! What a fantastic and vibrant looking salad! This is my type of meal! 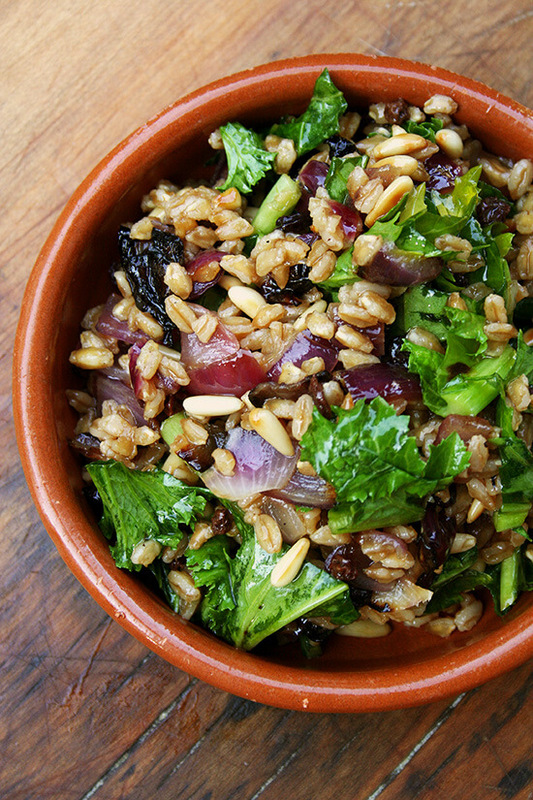 Thanks for this recipe for farro salad with roasted onion, toasted pine nuts, currants and greens. It looks like a wonderful salad. Yum, Yum, Yum! I’m printing this out now! Christine — I am so happy to hear this. Every time my husband and I eat this, we get uncomfortably full. We can’t stop eating it. It is truly addictive. So glad you like it too! Emily, so great to hear from you! 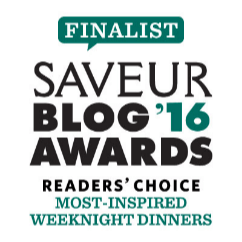 I am so glad you like the farro salad. I have been making it all summer, too, changing up the vegetables, but keeping the basic dressing the same. It is so nice to make a double batch because then you can eat it for lunch all week. Made this last night- it was delicious!! i sauteed baby portabells, onion, garlic, oregano…salt, pepper, flake red pepper. fresh cilantro and garam masalla (never know what to do with it) add to cooked farro, fist time using it an definitelynot my last! Nancy — wonderful to hear this! Love the sound of this combo. I just made one with blanched asparagus and sliced spring onions and toasted walnuts. There’s something about this time of year that makes me crave these sorts of whole grain salads. So happy to hear your first experience with farro was a good one! Made this today with Swiss chard and tart cherries (didn’t have currants). Just sautéed everything in a pan and added cooked farro and some goat cheese at the end. Oh my goodness…..so so good! Wonderful to hear this, Prashanti! Tart cherries + goat cheese sounds amazing! Yum. Truly amazing recipe!! I used dried cranberries in place of the currants, and added goat cheese. SO so good. Thanks for sharing! !